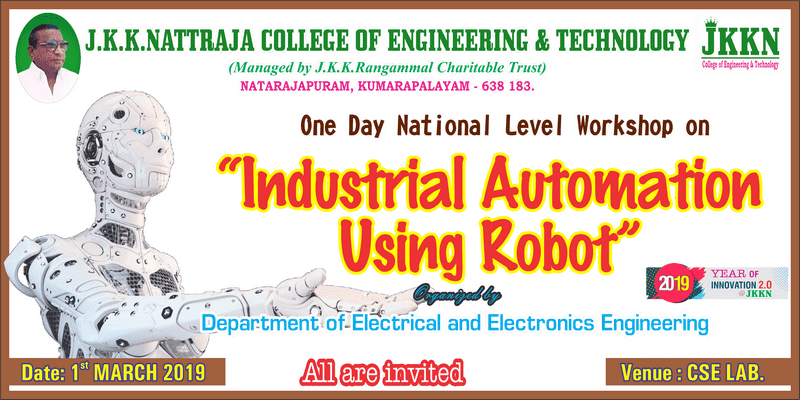 J.K.K.Nattraja College of Engineering and Technology, Kumarapalayam, the Department of Electrical and Electronics Engineering, hosted One Day National Level Workshop on the topic Industrial Automation Using Robot on 01.03.2019. Around 100 students got benefited out of this workshop. Mr.S.Ommsharravana Managing Director, J.K.K.Nattraja Educational Institutions presided over the function and stressed that “the impact of robotic intervention in industrial automation is Evolution of Industry 4.0” and honored the guest by the memento. 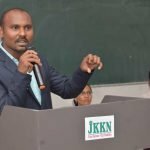 Dr.K.Tamizharasu, Principal delivered felicitation address and shared importance of the course. 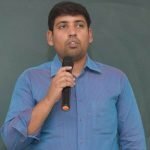 Mr.T.Radhakrishnan, Administrative Officer of the institution witnessed the workshop. Mr. Parthiban Manickam, Technical Manager, Caliber Embedded India Pvt.Ltd. 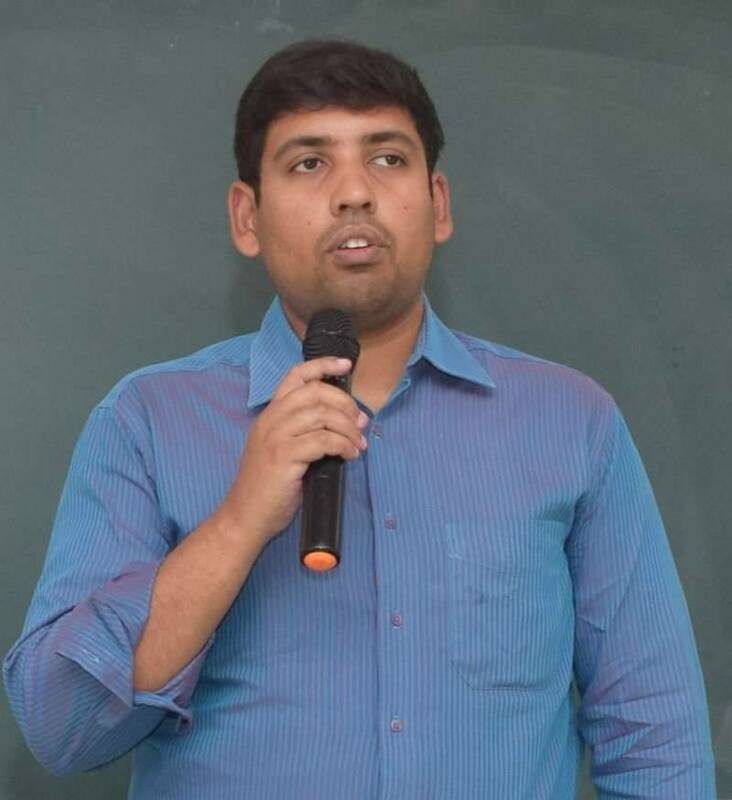 Salem, was the Chief Guest and he discussed about how the industry is automated by Robotics and explained the main parts of robots, different types of motors used in robots, how to design the robots, and the internal parts of robots to the students. 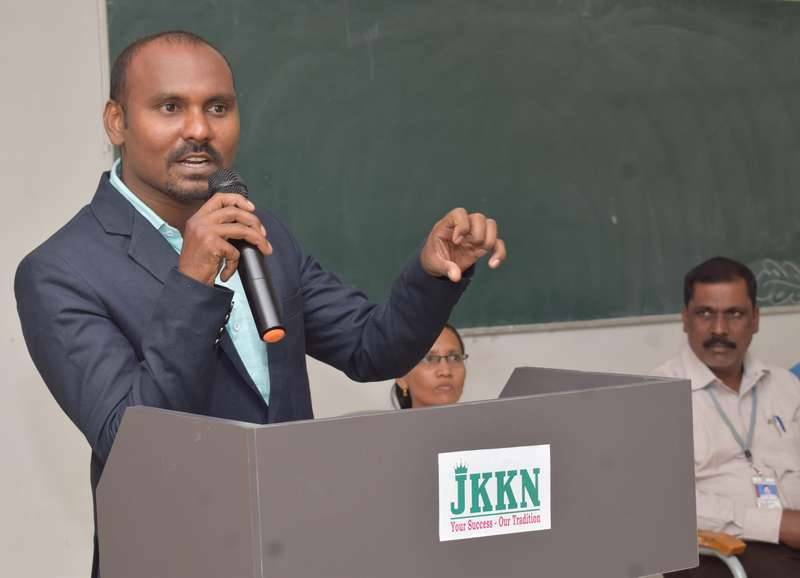 Mr. Naveen Kumar R, II EEE, JKKNCET thanked all the members.